June 22, 2015, 10 a.m.
By Joseph Lichterman @ylichterman June 22, 2015, 10 a.m.
It’s one of the trendiest phrases in digital journalism: audience engagement. Over the past few years, publications from The New York Times to The Tennessean have added related positions. Now the Financial Times is jumping on the bandwagon. Earlier this year it hired Renée Kaplan, formerly of marketing agency Havas Worldwide and France 24, as the paper’s first head of audience engagement. I spoke with Kaplan recently as she finished up her first month on the job. She still has to make a number of hires, but said her team has already begun to influence the FT’s coverage. The audience engagement team sits in the newsroom, so when news broke last month that the U.S. Department of Justice had indicted a number of FIFA executives, Kaplan’s group jumped into action by resurfacing old coverage of global soccer’s governing body and creating content exclusively for social media. In the coming months, Kaplan said her and her team will undertake a number of editorial projects to refine their approach and decide how to expand their ideas to the FT as a whole. Kaplan and I discussed possible projects, the prospects of building the FT’s audience despite its strict paywall, and her other goals in her new position. An edited and condensed transcript of our conversation follows. Joseph Lichterman: Explain your role. What does it mean to be an audience engagement editor? Renée Kaplan: I think that audience engagement means different things in different parts of the business. 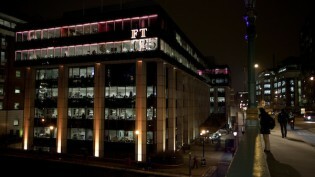 What is unique about the role of audience engagement at the FT is that we sit fully in the newsroom. I work across the organization and I have members of my team in practically all the different verticals — marketing, communications, search, data. Fundamentally, though, I define audience engagement as getting our journalism in front of more audiences and more of the right audiences. Lichterman: So you’re focused on expanding the readership, but also focusing on certain readerships. Which groups do you hope to target? Kaplan: We’re trying to define our own metrics of success: Increasing the audience’s connection with our content, creating more loyal subscribers, growing a sense of loyalty, creating dependence on our content. We’re focusing on our existing subscribers — what we know about them, what they like, how they want to consume our content. We’re also growing our audiences, thinking about who might be interested in the stories we’re telling in different formats and on different platforms. Lichterman: The FT has a paywall, and I’m curious how that affects the way you approach engagement. Does it limit the way you think about social, for instance? Kaplan: The paywall is integral to our model as a business, and even our model as a brand. Fundamentally, we begin with the premise that people are willing to pay for excellent content. There are lots of ways to access our content. We have a couple of new developments in terms of expanding our reach. One is “first click free,” which allows people accessing our content from most social media platforms to be able to click through and read the story free. We have a new access model, which is a shift from the registration model where you could access a fixed number of stories for free. Essentially now it’s a paid trial, where for one dollar, pound, or euro per month, you get whatever you want. It’s very new, but we’re seeing that users are coming back more frequently. We’re working with the paywall. We’re only as good and as valuable to our readers as our content is good and as our business model is good. 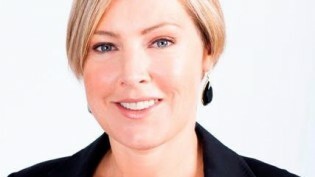 Lichterman: Are you working to improve content for shareability? Kaplan: We are thinking about how to optimize our content from its very conception, from the moment of commission. Our engagement strategy is two-pronged. On the one hand, we obviously want to grow traffic. We want to reach more more people and get them to come back to the website or back to our content via whatever platform they’re using. The second prong of the strategy is to change how we produce and distribute our content and optimize it for reach. That doesn’t mean changing the quality or necessarily even changing the nature of what we’re covering. Our brand and our journalistic mission essentially remain the same. But it does mean optimizing some of our content for different distribution platforms, integrating visual and interactive content from the beginning. It means thinking about ways of storytelling that are actually commissioned for social, rather than adapting text-first to social. Lichterman: Can you give me an example of things that you’ve done this way? Kaplan: It’s very early days. I just came to the job. But there have been a couple of breaking news experiences where we’ve tried to do that. FIFA was a major story, especially for a European-based newspaper. Instead of commissioning a classic series of news and analysis in X number of words for the paper, we thought immediately: What is our forte here? It’s the background information on the financials. It’s a lot of the investigative work we’d already done on FIFA. It’s then finding a way to produce and format that content for the greatest reach. So we produced some visuals, some GIFs, we thought of content that was bespoke for Twitter and social that really put those numbers forward in the most shareable way possible. Lichterman: Is it new for the engagement and social teams to be working with the news desk directly? Kaplan: I think the big shift in the industry, and the particular shift within the FT, is that these development strategies, which had resided more on the marketing-commercial side of the business, are now shifting toward the newsroom. So what before was called a community strategy is now called an engagement strategy and is situated in and reports to the newsroom. That’s very new, and very strategic. Lichterman: Are you building a team? Are folks coming over from the business side to the news side? Kaplan: I’m still staffing. Our social media team had already existed within the newsroom. Our audience and digital strategy editor had been on the commercial side. Our engagement strategist, who is very focused on audience insights and research, has also come over from the commercial side. We have a marketing manager focused on content marketing and media partnerships. I’m bringing in data analysts, an SEO expert, and some social media producers. So the team reflects all the different verticals within the business. Lichterman: Will you be working with the advertising or business side of the paper? Kaplan: There is absolutely no interaction between the revenue side of the business and the editorial side of the business. Our marketing manager thinks about the amplification and distribution of our content — how to optimize the reach and distribution of content with the help of paid promotion that underlines or accompanies the more organic reach of content. Lichterman: The FT recently announced that it’s adding the “cost-per-hour” advertising. Are you trying to get people to stay on the page longer? Kaplan: Again, my objectives are completely distinct from the advertising objectives. I’m interested in extending our engagement to audiences that we don’t have yet, and intensifying and growing our connection with existing audiences. I don’t have a commercial objective. I have an editorial objective, and an experiential objective, and an interactive objective. Engagement is measured in different ways for different parts of the business. But there’s no part of no media business that isn’t trying to grow the time our audiences spend with our content. Time spent means a better experience and more loyal users. It means getting the best of our journalism in front of the right audiences. In some ways, time spent is a metric of journalistic impact. Lichterman: The FT has a wide range of content, from Fast FT to more longform feature stuff on the weekends. How does your approach differ for different products? Kaplan: Strategies for engagement and amplification are very bespoke. One lever of engagement is the intelligence about our audiences — understanding who the audience is for our weekend content, versus who the audience is for companies, or markets, or global economy, or comment. Those aren’t necessarily all the same people, in the same places, at the same time, on the same platforms. Lichterman: What kind of data are you looking at? Kaplan: We have the data from our website subscribers. But we can also get a lot of data from users on social media, whether that’s geographic, or time-based, understanding what kind of content works best in different parts of the world and at what time of day. That’s mostly analytics we get from Facebook and Google. We have a lot of internal analytics from traffic on the website, mostly related to formally registering and trialling users. Part of my objective is to create a feedback loop so that the creators of the content, the journalists, and the newsroom understand who is consuming that content and when. Kaplan: We’re certainly looking to optimize our strategy on social, partly by focusing on audio and video. We’ve seen some real success with our podcast content and in general with our audio content. Both audio and video are very socially driven strategies. Lichterman: I know it’s early days, but what might we expect to see from your team soon? Kaplan: Once we have a complete team, we’ll probably do projects around some of our longer-term series — our global economy content and our oil content. We’ll also experiment with some new formats, some live digital events, and also possibly some live bricks-and-mortar events. Photo by Grace Villamil used under a Creative Commons License. POSTED June 22, 2015, 10 a.m.
Lichterman, Joseph. 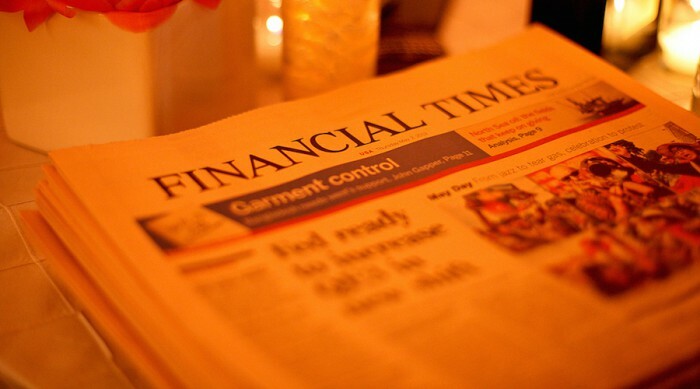 "How Renée Kaplan, the FT’s first head of audience engagement, approaches her new role." Nieman Journalism Lab. Nieman Foundation for Journalism at Harvard, 22 Jun. 2015. Web. 19 Apr. 2019. Lichterman, Joseph. "How Renée Kaplan, the FT’s first head of audience engagement, approaches her new role." Nieman Journalism Lab. Last modified June 22, 2015. 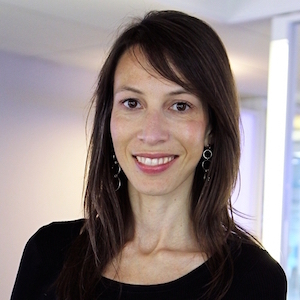 Accessed April 19, 2019. https://www.niemanlab.org/2015/06/qa-how-renee-kaplan-the-fts-first-head-of-audience-engagement-approaches-her-new-role/.